For us Chinese, we believe that the barley drink has a cooling effect, which is generally good for sore throats and fever. 1. Wash the barley and soak it for 5-10 minutes with some water if you prefer a less cloudy drink. 2. 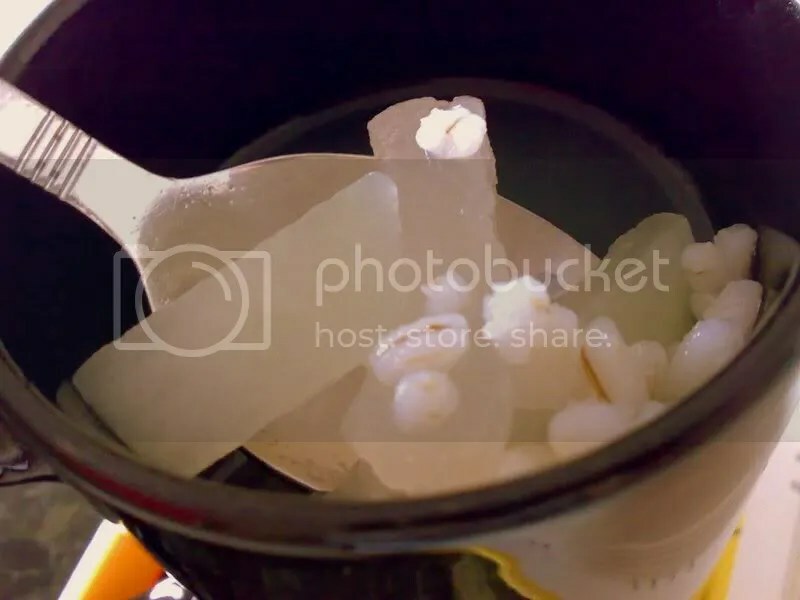 Mix the washed barley, pandan leaves and 10 cups of water into a medium-sized pot and bring to a boil. 3. After the barley has turned semi-soft (about 10 minutes later), add in the rock sugar and winter melon. 4. Boil for a further 10 minutes, cool and it is ready to drink. My first Chinese New Year reunion dinner. 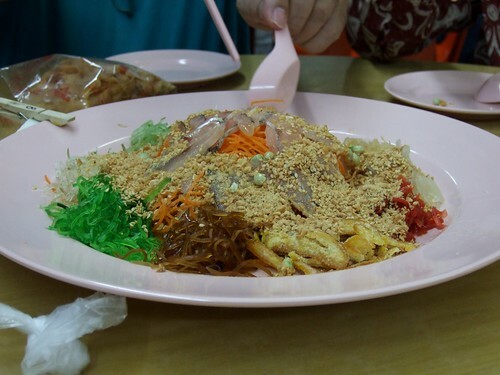 This “coffee-shop” style eatery is well known for its crab beehoon. 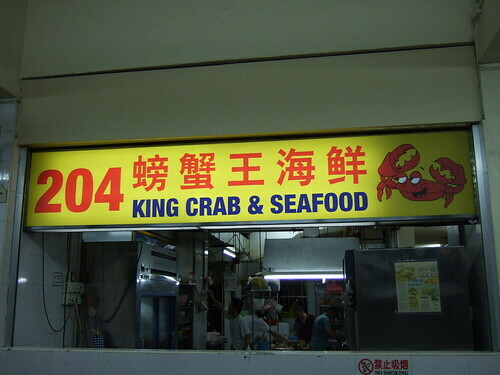 Here’s a photo example of the dish, unfortunately not from King Crab & Seafood. Our dinner set did not include this dish but I remember it as being really delicious. The first dish, as per tradition, was Yu Sheng (鱼生). Family members would use their chopsticks to mix this raw fish salad while reciting wishes for the new year. To ensure that we are “blessed every year” ( Nian Nian You Yu 年年有魚, literally meaning there is fish or leftover every year), some of the fish salad would be left on the plate unfinished. This dish was yummy. Here’s the second to fifth dish (clockwise). 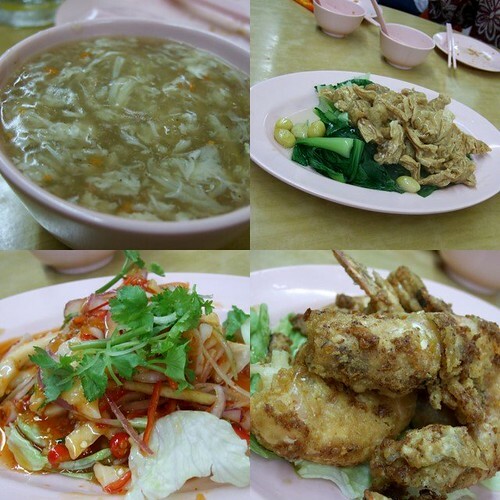 Sharksfin soup, Fried bean-curd skin with ginkgo nuts and vegetables, Deep fried prawns & a Spicy Thai Seafood Salad. 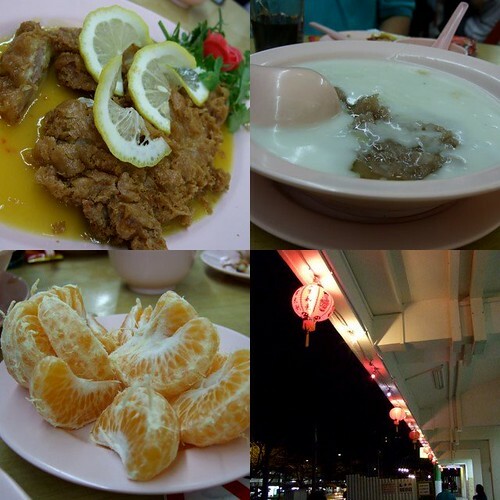 The sixth to eighth dish include Fried Chicken with Lemon Sauce, Orh-Ni (a warm yam dessert) & Mandarin Oranges. There’s also a photo of some lanterns sighted along the way back home.